If you're thinking of towing, keep in mind that the stronger 2.3-liter engine isn't the obvious choice. 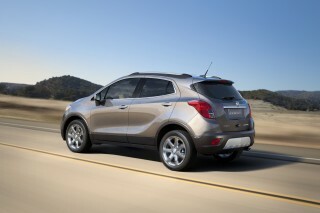 The 2.0-liter offers a maximum tow rating of 3,000 pounds, but it's 2,000 pounds with the 2.3. The 2015 MKC doesn’t go far in redefining Lincoln as a brand, but badging aside, it presents as exactly the luxury product shoppers want—a lively and lavish, yet super-refined compact crossover. Can Lincoln reach young, affluent car shoppers in East and West Coast cities with its new 2015 MKC? It's certainly trying with this compact crossover, which is clearly not aimed toward what some might think is the traditional Lincoln shopper. 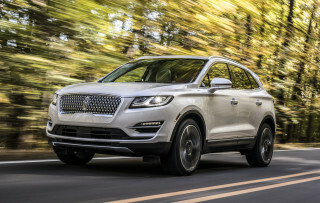 The MKC also becomes the second of four new Lincolns due to arrive in showrooms by 2016—with a new MKX crossover and a revamped Navigator joining in. The brand is aiming its sights right over years of muddled messages, and blasting past those waves of constant change with a rip tide of product—luxury product that's seriously competitive with high-cachet brands. 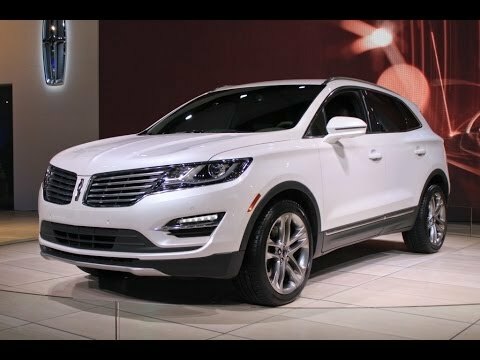 While the MKZ sedan that was introduced last year was an interesting, albeit somewhat eccentric, new entry for the luxury market, the MKC is what Lincoln needs: a model that looks sophisticated but fits right into its class, performs with verve, and wows with a luxurious cabin and plenty of technology, all at a few grand less than the equivalent from those luxury brands that are a little more 'defined' today. To that, the 2015 Lincoln MKC makes a solid statement of purpose against the likes of the Audi Q5, Acura RDX, or Cadillac SRX, as well as somewhat smaller new premium entries like the upcoming Mercedes-Benz GLA. A pretty rendition of the standard-issue crossover styling themes, the MKC sports some subtle design cues that show someone's paying attention. The front end's one of the slimmed-down renditions now appearing on all Lincoln faces, except the Navigator's. The MKC's split-wing grille leads into a sideview basically untouched from its concept-car stage, glass carefully framed to avoid any references to the Escape. The most interesting view's the one from the back, where the MKC's full-width taillights and the two-piece tailgate design are smoothly executed in a way we'd expect from Chrysler or Infiniti. The cockpit adopts the trick cue from the MKZ sedan: it skips the shift lever in favor of pushbuttons to actuate its transmission. The MyLincoln Touch infotainment system's large screen is now complemented by large knobs for tuning and volume, and with an array of climate-control switches on its elevated, kiosk-like center console. Lincoln says it's using more Bridge of Weir leather and real wood trim in the MKC to evoke a richer feel, too. 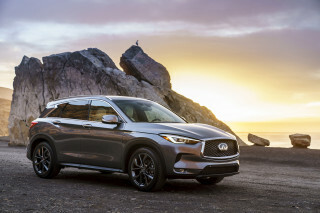 Though it's directly related to the Ford Escape, and part of the vast family of compact vehicles including the Ford Focus, tthe MKC's premium interior and more powerful drivetrain help insert a lot of distance from those mass-market offerings. The 2015 Lincoln MKC doesn't at all offer a V-6; but it does better than that, really. With a new 2.3-liter EcoBoost turbocharged four-cylinder engine (yes, the same engine that's headed into the 2015 Ford Mustang), making 285 horsepower and 305 pound-feet of torque, this is a model that moves very rapidly (think around seven seconds to 60 mph), with plenty of power to spare for quick takeoffs, or no-sweat highway passing. It's one of the highlights that makes the MKC special. With a twin-scroll turbocharger, its power delivery is more immediate—and on par with the V-8s of less than a decade ago, really. Its sound is a bit coarse when accelerating, but a balance-shaft system keeps it vibration-free, and generous noise insulation plus active noise cancellation altogether keep the cabin quiet. For those who don't need quite as much get up and go, the strong 2.0-liter EcoBoost, with 240 horsepower and 270 lb-ft, is the other choice, and it moves nearly as quickly—especially in base front-wheel-drive form. And the MKC has a level of ride-and-handling refinement that's on par with what you'll find in the RDX, the Q5, and the BMW X3. Steering is sharp, precise, and very well-weighted, and thanks in part to a continuous damping suspension and active noise cancellation, you get crisp handling and great body control, without all the coarseness and road noise that such a setup usually brings on. It's all, by the way, customizable, with a Lincoln Drive Control system that lets you program the 'D' and 'S' modes on the shift panel to call up a customizable combination of modes for powertrain and steering, as well as ride. Sized like an Escape, the MKC is banking on a spiced-up interior to convince shoppers that less is more. Today's Escape is slightly shorter than a CR-V, longer than a Hyundai Tucson, but has a more snug feel than some of its competition, thanks in part to firm, thin, sporty seats. Bridge of Weir leather in much of the model line gives front occupants good long-distance comfort, and soft-touch surfaces wrap not only the upper portion of the dash and doors, but also down below. Back-seat space is the weak point, with the MKC's tapered-down roofline and hard, upright seating not adding up to a luxurious back seat for adults -- especially if you opt for the twin-panel panoramic roof. At the base level, the 2015 Lincoln MKC Premiere includes power heated driver’s and passenger’s seats; the MyLincoln Touch system with an eight-inch screen, a media hub with two USB ports, an SD card reader, and RCA input; keyless entry and push-button start; cruise control; active noise control; the programmable MyKey system; speed-sensitive intermittent wipers; remote start; HID headlamps; reverse sensors; heated mirrors; and many more features that solidly place it in the luxury category. There’s some good value here, provided you’re okay with a brand that might not (at least not yet) have built back a reputation to rival Lexus or Audi. 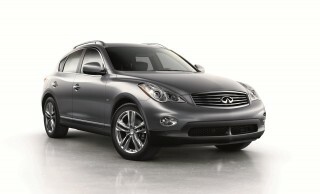 Pricing starts at $33,995 for the Premiere and runs up to $44,565 for the 2.3-liter AWD Reserve. Load up the latter and you can top the $50k mark -- but not by much. That’s at least a few grand less than most rivals with the same equipment. Over the base Premiere model, you can step up to the Select Package to get the upgraded leather, more adjustable seats, ambient lighting, and plenty more extras; then top Reserve models get the dual-pane panoramic sunroof, navigation, a hands-free tailgate, and heated-and-cooled seats, among other things. You can also opt up to a THX II Certified audio system with 14 speakers plus a distributed bass system, or spring for extras like 20-inch wheels or several special paint hues. A MyLincoln Mobile app allows a wide range of services from a distance (through the cell network), including remote starting, a fuel-level check, and a vehicle locator. You can also opt into a whole suite of active-safety features, and a new Active Park Assist adds Park Out Assist, which now not only helps you get into tight parallel spots but out of them. The 2015 Lincoln MKC impresses with stylish details, then satisfies with the materials and trims inside. The MKC is based on the underpinnings of the Ford Escape, and it carries forward with quite a few parts with that model underneath; but you might not even know it from the exterior, unless you looked at the two models together. The Lincoln doesn’t share the same sheetmetal or roofline. It’s actually an inch lower at the roofline, with more of a downward taper, while the beltline is somewhat higher and it’s a good deal more voluptuous and interesting from the side. 'Graceful athleticism' is a design theme Lincoln uses to describe the exterior, and the 2015 Lincoln MKC shows that in its stance. The front end, with the Lincoln split-wing grille, HID headlamps, and LED accent lights, isn’t far from the front end used on other current Lincoln models; but in back the full-width LED headlamps and super-clean look afforded by the unique clamshell-style tailgate are refreshingly different in a class of relative lookalikes. Inside, 'Elegant Artistry' is the term here, and there’s been an effort to provide a lot of contrasts in the interior trims—think porous wood with bright metal, and glossy wood with matte finish, for example. It’s all done tastefully, and it feels more organiz than computer-generated, adding up to an impression that feels like it’s borrowing equally from Scandinavian design sense and a good ol’ French curve. The design of the dash is far from radical, but it’s elegant. With a center stack that sloped downward toward the driver on a plane, and corners that have been pushed forward and outward as far as possible, It feels airy in the front seats, which trend up to Bridge of Weir leather in top models. It’s also well lit, if you get the top MKC Reserve and its huge panoramic roof. Don't let its quiet, docile demeanor fool you; if you're not the type to check pay extra for special performance packages or tuner models, the 2015 Lincoln MKC is one of the best-performing (and possibly the best-handling) compact crossovers. The 2015 Lincoln MKC doesn't at all offer a V-6; but it does better than that, really. With a new 2.3-liter EcoBoost turbocharged four-cylinder engine, making 285 horsepower and 305 pound-feet of torque, this is a model that moves very rapidly (think around seven seconds to 60 mph), with plenty of power to spare for quick takeoffs, or no-sweat highway passing. That engine, which is slated to go into the 2015 Ford Mustang later this year, is one of the highlights that makes the MKC special. With a twin-scroll turbocharger, its power delivery is more immediate—and on par with the V-8s of less than a decade ago, really. Its sound is a bit coarse when accelerating, but a balance-shaft system keeps it vibration-free, and generous noise insulation plus active noise cancellation altogether keep the cabin quiet. Ford Motor Co. has pushed its 2.0-liter EcoBoost four-cylinder engine out into much of its Ford and Lincoln lineup by now—in everything from the Focus ST to versions of the Taurus and Explorer—and it's the base engine here in the MKC. With 240 horsepower and 270 lb-ft, it moves nearly as quickly—especially in base front-wheel-drive form, as there it weighs about 200 pounds less. Responses from the six-speed (6F35) automatic are satisfying enough most of the time, and Ford has ramped it up with a stronger torque converter for the 2.3-liter. Although we did wish that downshifts—whether ordered through the left paddle or with a heavy prod of the right foot—happened a little more decisively in the upper gears. The MKC is generous on poise and confidence, with a quiet, refined driving experience that's also never short on responsiveness when you need it. How did Lincoln pull off such a duality? Through a continuous controlled damping suspension, with multiple modes, as well as multiple modes, you can order up a more responsive driving feel when you want it, or a softer experience when you're just cruising; and in either case, the suspension can fine-tune its behavior in milliseconds to damp out road roughness or aid body control. The second key to that duality is a very tight, quiet cabin, with active noise insulation that actively cancels out road coarseness and other unwanted sounds. All said, the MKC has a level of ride-and-handling refinement that's on par with what you'll find in the RDX, the Q5, and the BMW X3. While the Sport setting is firmer than we might have ever expected from a Lincoln, leaving loads of grip, surprisingly little lean, and subtle, predictable loading and unloading through some tight, demanding esses. 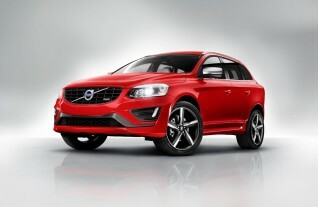 The tuning of the steering really helps impart that unexpectedly sporty impression. It’s flawless, in my opinion; we found excellent weighting, as well as just a tiny bit of feedback over bumpy surfaces when loaded up (desirable, but rare in this class). Brakes are phenomenal, too—they're a world better than the Ford Motor Co. cars and crossovers of just a few years ago—with reassuring bite, a solid pedal feel (they've been upsized for the MKC), and no touchiness. As for how those steering, powertrain, and suspension modes are selected, it's all part of a system called Lincoln Drive Control. The idea is that you have one 'normal' set of choices for 'D' and one other, sportier, set for 'S'—all on the odd instrument-panel button-shifter. If you hit Sport twice, you can toggle on a 'full manual' mode that allows you full control with the steering-wheel paddle-shifters. Well, it's not quite full manual, as it forces a downshift when your right foot reaches the floor, but almost. This system lets you program two quite different characters for the vehicle, based on two different steering-assist levels, two performance (powertrain) levels, and three suspension levels. The only catch is that you set those characters through a MyLincoln Touch style menu, with the left steering-wheel toggle. And those settings are buried, in the third layer of menus—so it's the sort of thing you'll set and forget for some time. You’ll feel comfortable and at ease in this plush, quiet cabin, provided you’re in one of the front seats. 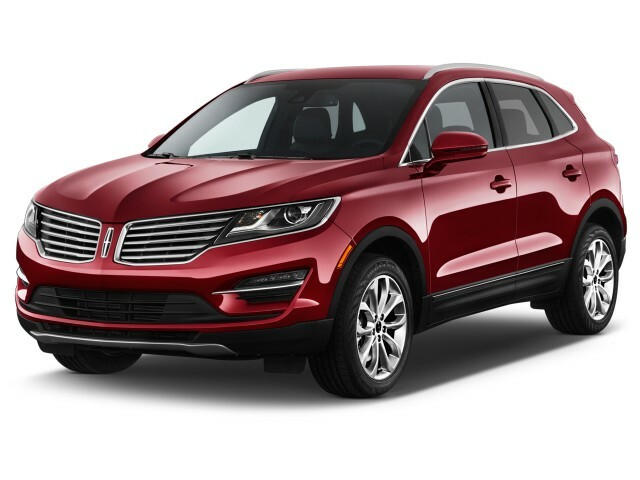 The 2015 Lincoln MKC is plush and quiet no matter which seat you’re in, although if your average height or taller you’ll probably want to be in one of the front seats. At only about 180 inches long, and as narrow as a compact car -- all with a tapering-downward roofline -- the MKC feels just as roomy from the front seat as mid-size models like the Lexus RX. Lincoln has padded all areas in front of (and beside) the front and outboard rear occupants with soft-touch materials; even the lower glovebox panel ahead of the passenger is padded. Supple Bridge of Weir leather, with tri-level heating and cooling, add to seats that provide impressive comfort and support in front. Only if you plan to exploit all the cornering forces afforded by the sticky (unique to this model) Michelin 19-inch rubber, you might find them a little lacking in side support. In the back seat, materials and trims are just as impressive, but the contouring and cushioning don't feel luxurious. It's more cramped than about any model we can think of in this class (around 180 inches long), and with that available panoramic roof six-footers are going to find headroom very tight back there. Sadly, you should skip it if you plan to carry adults, or even teens, back there on a regular basis. As for those back seats, they’re split 60/40 and flip forward just as easily as any other crossover of this kind. The cargo floor isn’t perfectly flat, but it adds up to quite a bit of extra space for hauling those big purchases. The MKC's controls are pleasing and straightforward, for the most part. Although MyLincoln Touch is a shoe-in here, and one we continue to find a bit frustrating, the steering-wheel toggles are easy to understand. And thankfully, Ford has gotten rid of the much-maligned (and rightly so) capacitive sliders for some functions, like volume, replacing them with physical up/down tabs. The 2015 Lincoln MKC hasn’t yet been rated for safety, although there are plenty of optional extras that might help keep you focused. Standard safety equipment on the MKC includes seven airbags, including a driver’s knee bag, plus electronic stability control and electronic brakeforce distribution. A rearview camera system is also included. If you’re willing to step up the bottom line and check some more option packages, adding a $2,235 Technology Package gets you adaptive cruise control, active park assist, a lane keeping system, and forward sensing. With that, the MKC gets the Insurance Institute for Highway Safety (IIHS) 'basic' nod for front crash prevention. Top Reserve models also include the Blind Spot Information System (BLIS) with cross-traffic assist. We did find it somewhat difficulat to estimate the MKC’s corners when parking, and there’s not a lot of outward visibility when changing lanes. Luckily, the active park assist system also has a park-out feature, helping you pull away from tight spaces as easily as you pulled in -- with hands off the wheel, as you control the brakes and accelerator. In federal NCAP testing, the MKC achieved four stars in frontal impact, but it earned five stars for side impact, including all subcategories. The feds noted, however, that in side-impact testing the left rear passenger door came unlatched, which would have increased the potential for injury. The IIHS hasn't fully crash-tested the MKC, but so far it's earned top 'good' results in frontal and side impact. Ratings aren't yet out for the tougher small overlap frontal test; they haven't exactly been stellar for the current Ford Escape, on which it's based (its 'poor' small overlap frontal result from the Insurance Institute for Highway Safety is particularly worrisome). 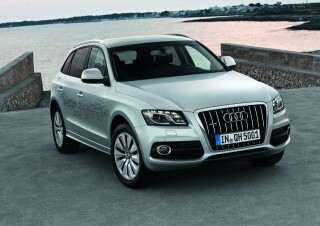 The MKC offers lots of features and luxury for the money -- for a bit less than some of the top-tier luxury brands. Interestingly, Ford offers the 2.3-liter engine, the Continuously Controlled Damping (CCD) suspension, and all-wheel drive as standalone options, so there are many, many builds possible—although if you want front-wheel drive, you'll need to stick with the smaller engine. A MyLincoln Mobile app allows a wide range of services from a distance (through the cell network), including remote starting, a fuel-level check, and a vehicle locator. A rearview camera system is standard, but you can opt up to a $2,235 Technology Package suite of active-safety features like lane-keeping, adaptive cruise, a collision warning system with brake support, and a cross-traffic alert system that Lincoln says is a class-exclusive. There's also a new Active Park Assist with Park Out Assist, which now not only helps you get into tight parallel spots but out of them. There’s some good value here, too, provided you’re okay with a brand that might not (at least not yet) have built back a reputation to rival Lexus or Audi. 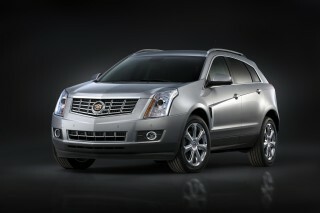 Pricing starts at $33,995 for the Premiere and runs up to $44,565 for the 2.3-liter AWD Reserve. Load up the latter and you can top the $50k mark -- but not by much. That’s at least a few grand less than most rivals with the same equipment. The EcoBoost turbocharged four-cylinder engines in the 2015 Lincoln MKC promise reasonably good mileage, but you're not likely to see the 'Eco' side of their personality in most driving. If fuel efficiency is a priority, you're not going to be all that impressed by the numbers you see on the window sticker of the 2015 Lincoln MKC. With front-wheel drive and the base 2.0-liter EcoBoost turbocharged four-cylinder engine, the MKC earns EPA ratings of 20 mpg city, 29 highway. Add all-wheel drive and that drops to 19/26 mpg. Step up to the 2.3-liter EcoBoost engine, and all-wheel drive is mandatory; that brings ratings down to 18 mpg city, 26 highway. The 2.3-liter EcoBoost model includes a class-exclusive grille-shutter system that helps shut off extra airflow through the engine bay when it's not needed, improving aerodynamics, aiding engine warmup, and helping fuel economy. 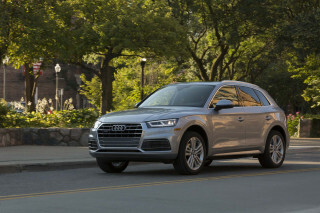 A number of other compact luxury crossovers like the Audi Q5, Mercedes-Benz GLK, BMW X3, and Lexus NX all offer hybrid or clean-diesel options that offer a boost in mileage; but there are no such options in the works for the MKXC, Ford says. Real-world mileage could prove a sore spot. In repeated driving experiences, we've been a little disappointed with real-world mileage in Ford's EcoBoost four-cylinder engines. We weren't seeing much promising news from the trip computer, although we'll reserve final judgment until we can get some extended time in an MKC. I wouyld purchase another one !! I would NEVER buy this vehicle again! Love this car, the look, the feel of the ride, plenty of tech and easy to use - not to mention the comfort!